While having a 3 way switch capped in main breaker panel might be up to code, it is not the best way to do it. Do you agree? I would prefer a junction box be put on side of breaker panel for the splice as a minimum. 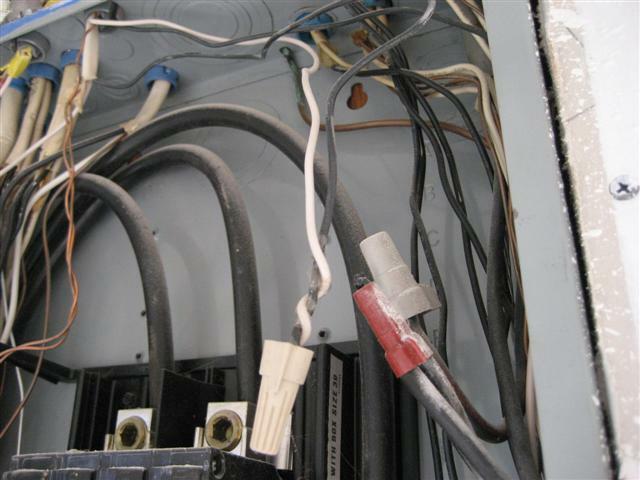 Making sure it is out of panel reduces unnecessary risk the white wire marker will fall off or be forgotten and the handyman in the panel makes a fatal mistake with the white wire in picture.